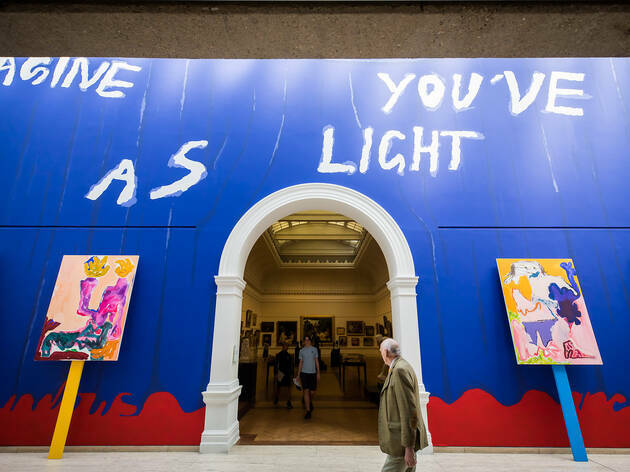 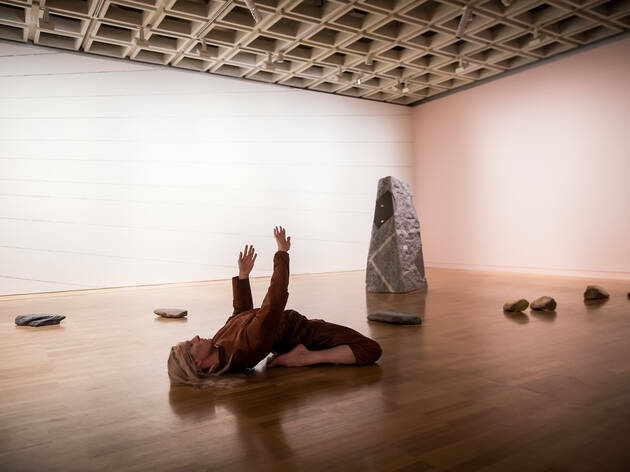 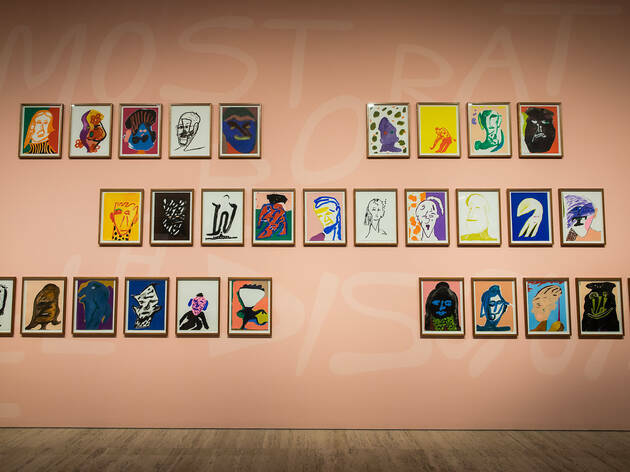 The National is all about capturing a snapshot of where we are in Australia right now by bringing together contemporary artists from all across the country to three venues: the Museum of Contemporary Art, Carriageworks and the Art Gallery of NSW. 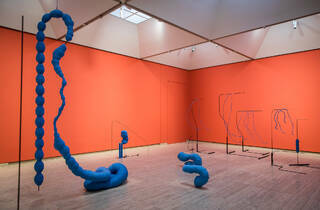 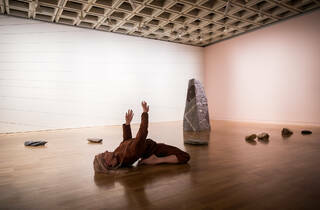 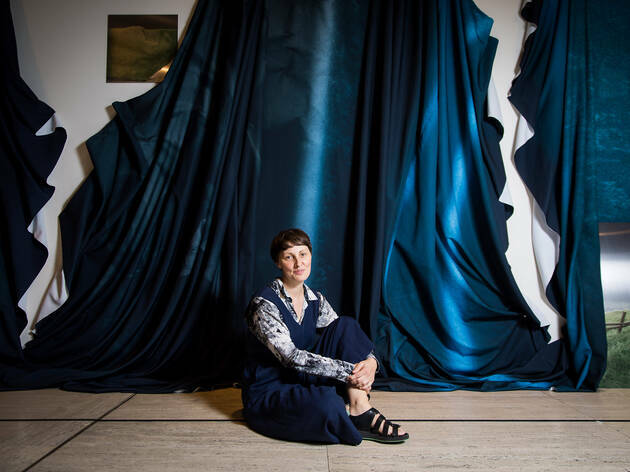 Isobel Parker Philip is the curator for the AGNSW chapter of this year’s edition of the biennial festival and has focused on artists who work across diverse forms – sculpture, performance, video, installation, painting – but are all sensitive to the instability of the time in which we’re living. 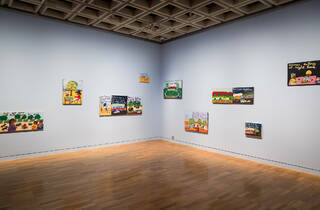 The bulk of the exhibition is in the gallery’s lower second level, but you can’t contain an exhibition as ambitious as this one. 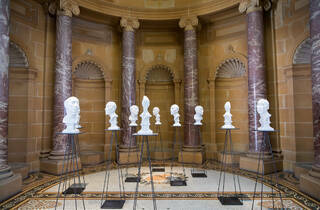 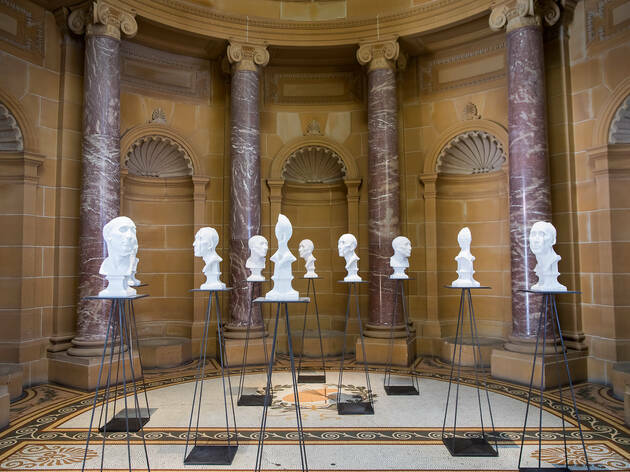 When you step into the AGNSW’s entry vestibule, you’ll meet Andrew Hazewinkel’s white busts representing a Western European male, covered in faultlines. 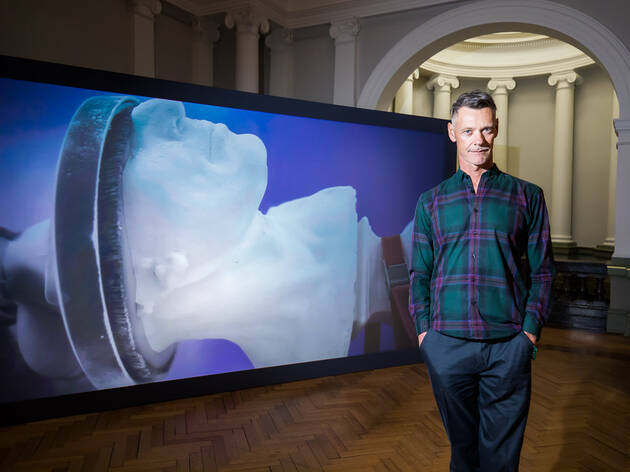 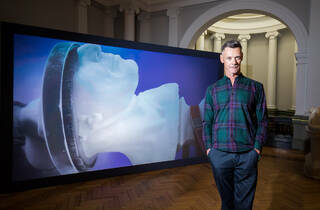 If you venture through to the European 19th-century art gallery, you’ll find his large-scale video installation, which shows one of these busts being slowly ground down by a power tool. 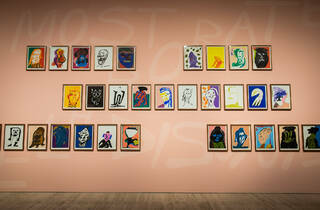 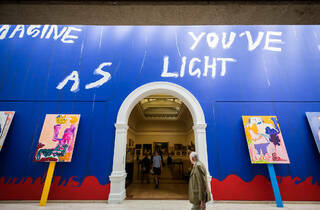 As you go further into the gallery’s entrance foyer, you’ll see Tom Polo’s brightly coloured, wall-filling paintings. 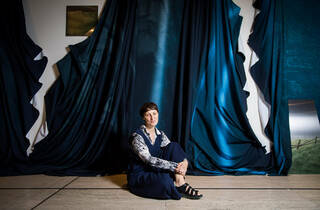 On the other side is Izabela Pluta’s ‘Apparent Distance’, made up of underwater photographs printed onto giant sheets of draped fabric. 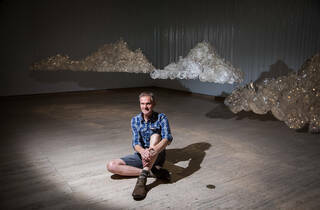 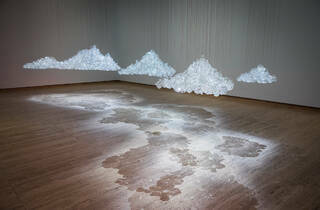 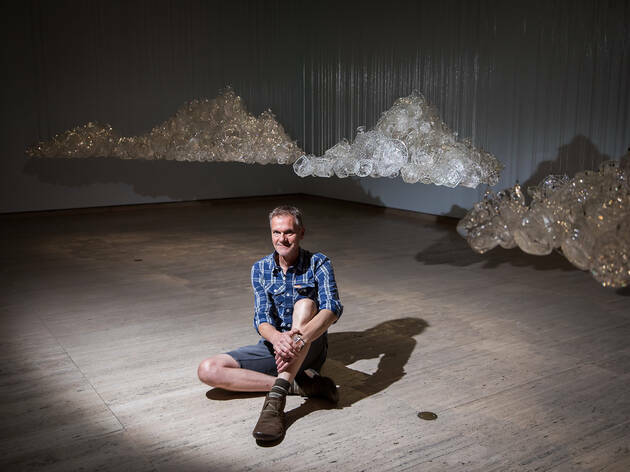 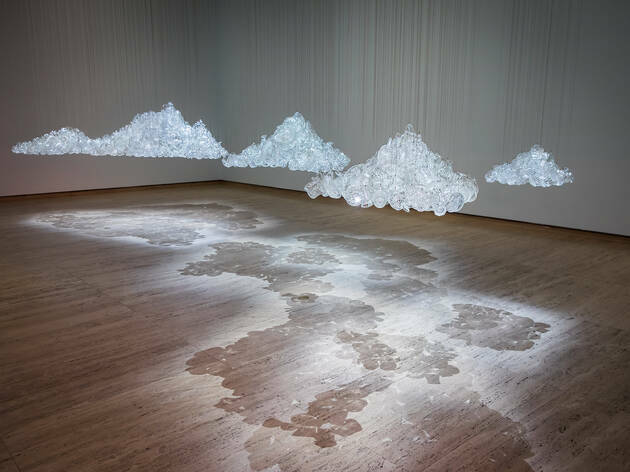 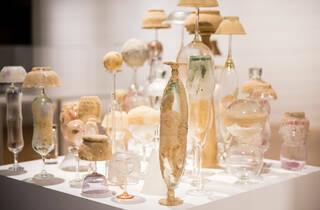 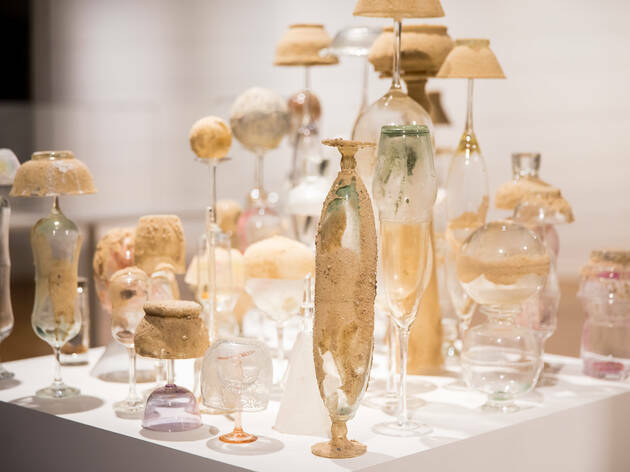 There are a number of large-scale installations down in the lower second floor galleries, including Nicholas Folland’s sculptures made up of hanging pieces of found glass and crystal, arranged to look like clouds floating through space. 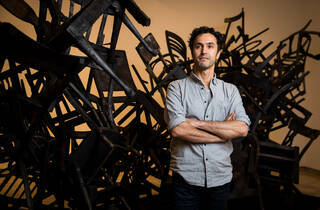 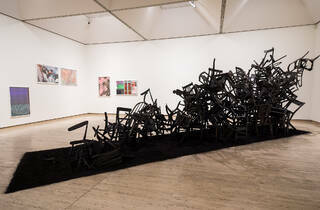 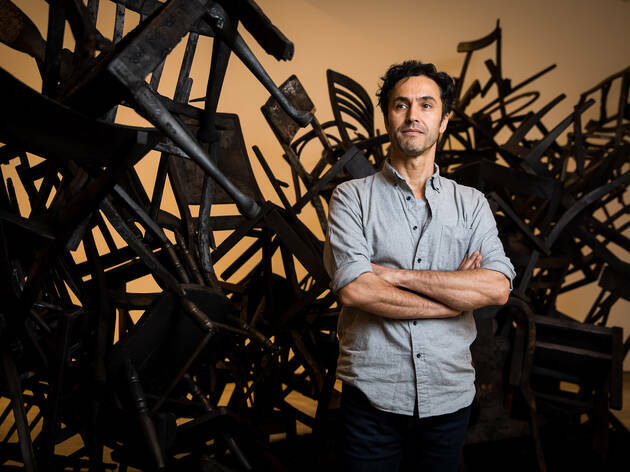 There’s also Mira Gojak’s room full of metal sculptures covered in blue yarn, and Rushdi Anwar’s sculpture of chairs that have been burned black and arranged into an unlikely monument. 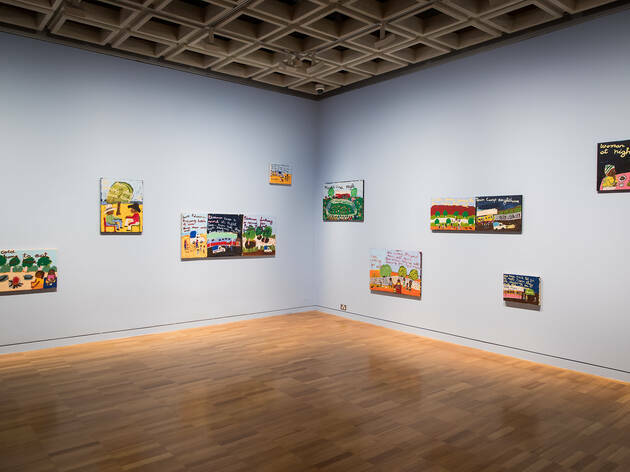 Alice Springs artist Sally M Nangala Mulda is showing a series of paintings about life in Mparntwe (Alice Springs), including works in her signature brightly colourful style about the Aboriginal community’s interactions with Northern Territory police. 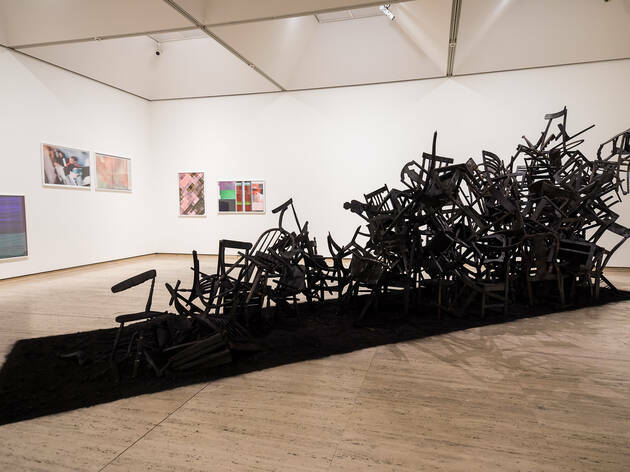 The other artists showing at The National at AGNSW are: Robert Andrew, Peta Clancy, Fayen d’Evie, Tony Garifalakis, Amrita Hepi, Eliza Hutchison, Linda Marrinon, Pilar Mata Dupont, James Newitt, nova Milne, Koji Ryui, Sandra Selig and, from Iltja Ntjarra Many Hands Art Centre, Selma Nunay Coulthard, Noreen Hudson, Clara Inkamala, Reinhold Inkamala, Vanessa Inkamala and Gloria Pannka. 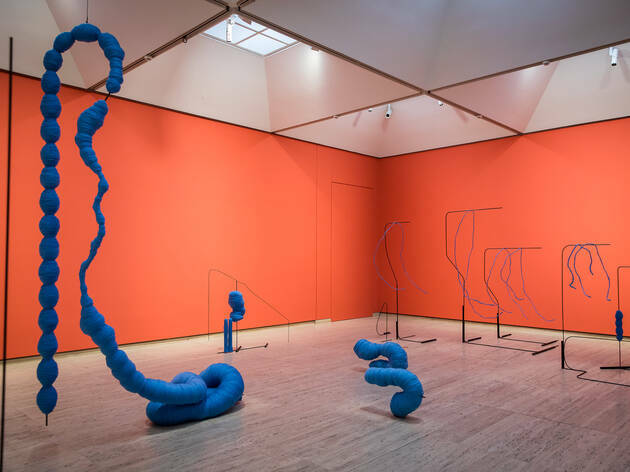 Check out our guide to The National 2019: New Australian Art.